WHAT: Downtown eatery that is like three restaurants rolled into one. 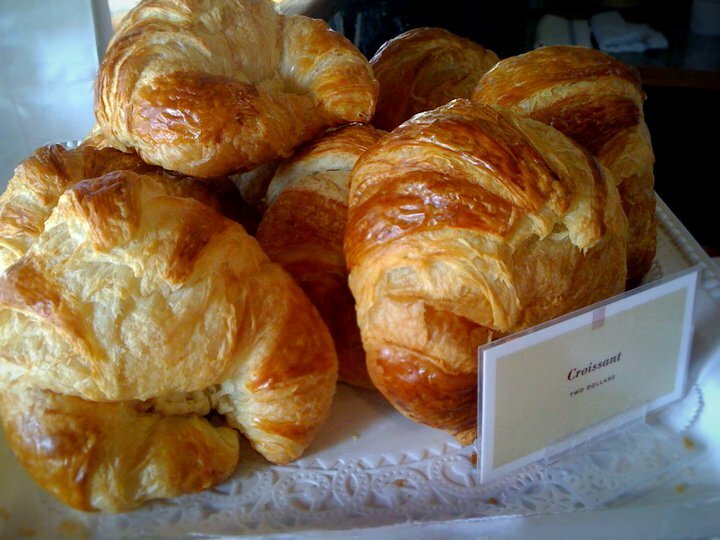 During breakfast, L’Eden is a fine French bakery and café – serving savory specialties like croissants, pain au chocolat and brioche. At lunch, it’s a gourmet bistro with a menu of craft sandwiches, crepes and quiches. And by dinner, L’Eden has become an affordable, fine dining restaurant serving an array of international cuisine. WHY: Because you’ve never had a croissant this good. Flaky on the outside, warm and chewy on the inside, these contradictory croissants are baked fresh every morning and served plain or stuffed with cheese, eggs and ham or bacon. Prepare to be hooked. WHEN (To Go): The next time you are on your way to Applebee’s or some other chain restaurant. L’Eden serves food that isn’t frozen or mass produced. Each menu item is crafted with thought and care, made with fresh ingredients and created with Chef Gerard Jamgotchian’s personal touch, setting the meals miles apart from standard chain restaurant faire. Don’t cheat yourself on your night out. Go to L’Eden instead. WHO (To Take With You): Your friend that has traveled (& tasted) the world. Although Chef Gerard hails from France, the dinner menu at L’Eden is not exclusively French and includes authentic international dishes from over a dozen different countries and regions. From Italy to India to Australia, the samplings of entree options make it possible to taste flavors from around the globe in just one simple sitting. HOW: p. 813-221-4795; www.dine-at-leden.com; Find it on Facebook; Hours vary so you may want to call ahead.